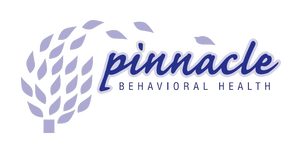 Joined Pinnacle Behavioral Health in February of 2016. Masters in Social Work SUNY at Albany 4.0, completed a fellowship in mental health with an internship at Equinox PROS. "Making the decision to come to therapy is a brave and empowering step forward. By the time you take this step you are likely experiencing emotional pain. I’ll meet you where you are. Together we’ll take a collaborative approach to getting you ready to make the changes you want and need. Even small changes can seem daunting. We’ll break it down and take a pace that’s comfortable for you. I have experience working with adults who are challenged by anxiety, depression, bipolar disorder, trauma reactions and other chronic conditions such as pain and illness. I am dedicated to helping my clients overcome limiting beliefs and challenging past experiences. I specialize in taking a mindfulness based approach to psychotherapy and combine this approach with education, CBT (cognitive behavioral therapy), EFT (emotional freedom technique) and skill teaching for better self-care. These are methods that are proven to encourage healing and empowerment. Together we’ll tailor these interventions to your preferences and needs.